Muse is one of those bands that isn’t to everyone’s taste level. To be honest, I have to pick and choose the songs of theirs that I like because some of them just go to far into places I don’t necessarily like in music. But they have rare gems throughout their collection of music that I am in love with. I think one of the things I love most is how much they put into their songs. Or, at least, that’s how it always seems to me. I’ve never seen them perform live, but I can only imagine they put on a fantastic show. This song has been pretty main stream, but it is still one of my favorites. As usual, the lyrics spoke to me. I have a past, I have demons and what more can anyone hope for than to have another person want to understand and help lighten the burden. There are too many lines in this one that stand out as favorites, so I will let them stand on their own this time. 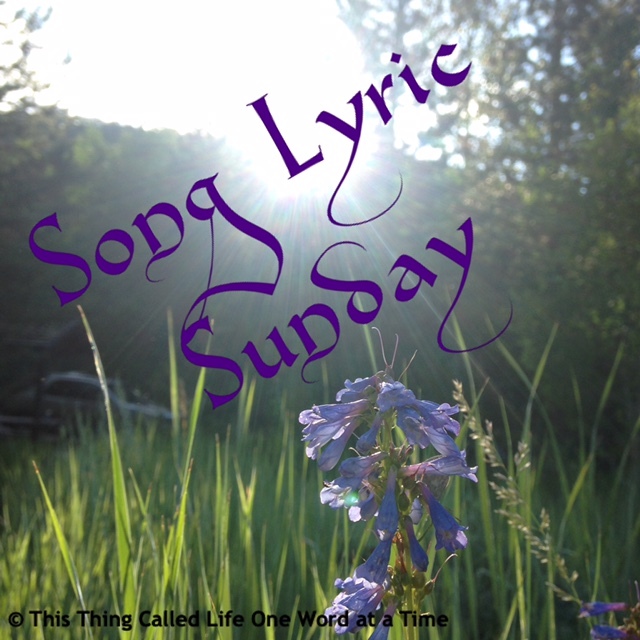 I hope you enjoy this installment of Song Lyric Sunday. Please feel free to read the rules below and post your own so we can explore music together. OctPoWriMo day 10 finds us exploring the wild side of our writing through music. Morgan gave us this video to use if we didn’t have one of our own, and it inspired my poem. I have to say, I didn’t edit this one. It just flowed out through the music and it was written before the ten-minute song was finished. I quite enjoyed this exercise. Seeing the look on my son’s face last night when I told him I had box suite tickets to the local college football game for today was priceless. I would have told him about the tickets sooner, but I knew he had a friend’s birthday part to go to and I didn’t think he would want to miss it. Jaxon spent the rest of the ride home talking about the game and how excited he was to go. It sounds to me like he’s going to go whether his friend never forgives him or not. I know not many people reading my blog are sports fans. Maybe there are more of you than I realize, and if there are, even better! But we are huge sports fans, my kids and I. We were watching the Dallas, Cowboys game on Sunday night and it turned into a real crap-fest for the Cowboys. I love watching them play, but lately, with all their injuries, they’ve had a real rough time of it. “Mom… the Cowboys!” He then gave me that look, like I should have known. I was surprised he chose to stay at my house to watch the game. His Dad is a huge Cowboys fan too, so normally, he watches it with him. But this time, he decided to stay. There was a lot of swearing and nail biting and general sadness for the whole thing. Our cries of excitement were full of desperation. The Cowboys ended up scoring a touchdown in the last two minutes to tie up the game, which was pretty miraculous given how they played all day. But, I knew there was too much time on the clock and, of course, the Saints went right down the field and got within field goal range with only about 30 seconds left on the clock. When I looked over at Jaxon, he was devastated. My son is a true football fan. I don’t see my son cry very often, but he actually started crying. He told his brother they were happy tears. I only wish the tears would have helped our poor Cowboys, but they ended up losing in overtime. So, there you have it. My son and his love of the game! I’m excited to spend some one-on-one time with him today watching our Utes play, and it’s supposed to be warm and sunny, so basically the perfect day for some football – laughing, screaming, swearing and cheering! 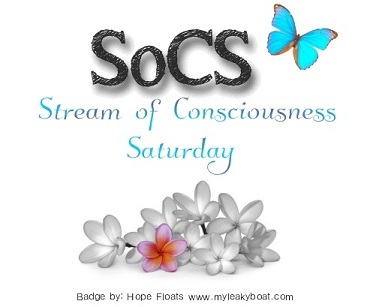 This out of the ordinary sports post is brought to you today by Stream of Consciousness Saturday hosted by Linda G Hill. Today’s prompt was to begin and end your post with a letter ending in “ing.” Feel free to click on the link and join in or read other amazing posts. 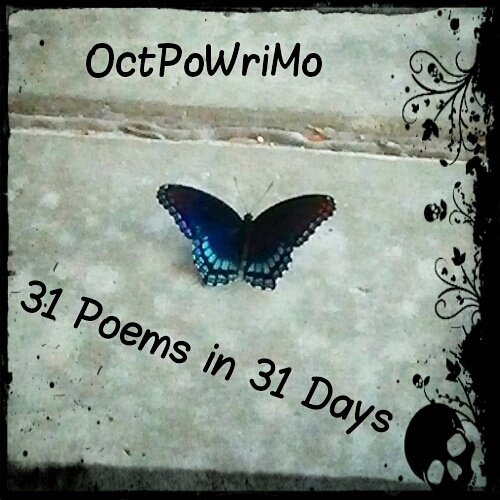 The day eight OctPoWriMo challenge was to write a poem about a color and a memory attached to it. I pretty much described any time I’ve been to the ocean, but specifically when I went to the beach with my daughter last year in North Carolina. It always seems to me that the colors blend, so there really isn’t a color. I love the ocean. I wish I lived closer to an ocean, but I will continue to enjoy the times I can visit. 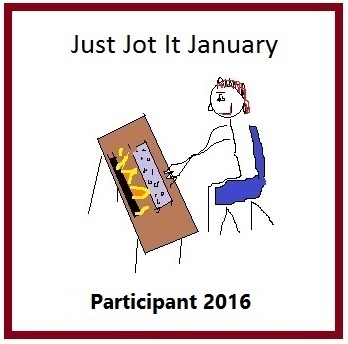 OctPoWriMo asked us to explore a choice we made in our life that we wouldn’t change. I wasn’t too terribly young when I had my daughter at twenty, but it was still one of those things in my life that I look at and wonder where I would have been if I had made different choices. But every time I do, I realize that any of those choices would have given me a life without my daughter and I wouldn’t change that for anything. What does freedom look like to you? That’s what OctPoWriMo asked us to explore today in a syllable poem. I’m not big on rules and poetry, but it’s fun to try new things and I really like how this one turned out. I picked the Etheree poem which is 10 lines of 1, 2, 3, 4, 5, 6, 7, 8, 9, 10 syllables. The prompt for day 5 of OctPoWriMo was to capture a relationship or a feeling, show don’t tell. Relationship’s are hard and today, I chose to write about the dark side of things. I always have hope, though, and I will forever believe that love will conquer all. Hard work, definitely, but love for sure.